Travel has become part of my life since I started earning my own money. I find road trips, plane rides and long walks enjoyable even if they can be tiring too. I just love it when I go sightseeing or relaxing may it be with the nature or in the middle of the city. And so far, I still have long list of "Must See" places. Traveling regularly somehow made me build my own set of travel essentials. And for my future trips this year, I listed below the things that I wanted to buy as it is time to replace my old ones. You know what the good news is? I found all those items that fit my style in Lazada.com.ph! 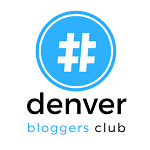 Cameras and smart phones are the two most important gadgets for a traveler/blogger. And with so much use for photos/videos and being online almost all the time dictate the need for extra battery life. Just with my road trip last Saturday, I unfortunately forgot my Sony power bank (5000mAh) and so I miss lots of spots that would have been great in photos. I have been planning to buy a power bank since the current one I am using drains easily and I have it for just over a year. I asked around for affordable yet reliable brands of power banks and two names came up: Xiaomi and Romoss. 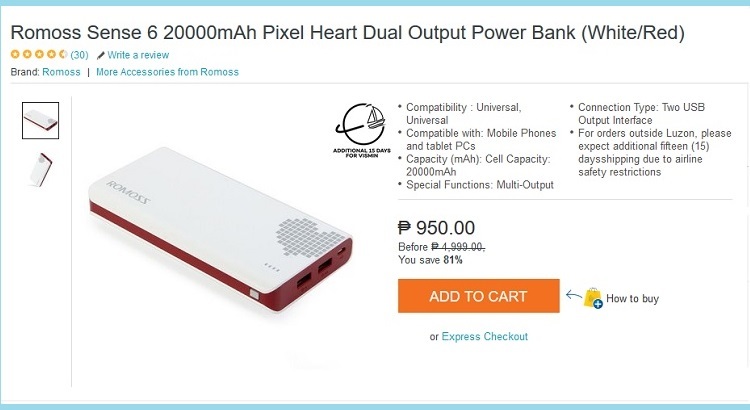 Those friends who have Romoss powerbanks actually ordered their items from Lazada Philippines (although they carry both brands, Xiaomi is currently sold out) and I have heard good reviews so far. Even the website shows positive feedback for this brand. Imagine, Php950.00 for a 20000mAh power bank? That is 4x the one I am using now! I really need to have this when I get back to Manila. I normally organize my things in pouches when I travel: toiletries, gadgets and small trinkets. 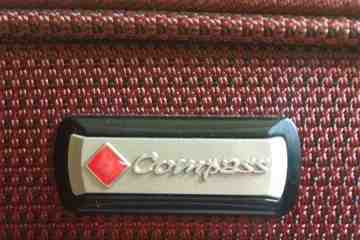 This way, I can easily find things whatever type of bag I am bringing. As part of my goal of lessening purchases for 2016, I looked for my old pouches that are still good to use. And that means that they are of different styles. 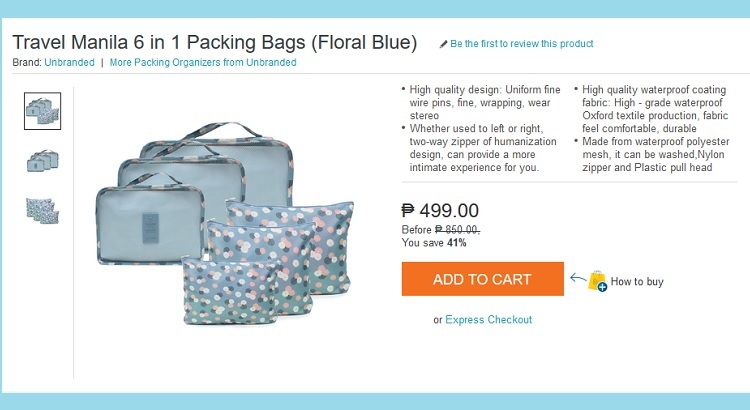 It would have been nice to have something like these Manila packing bags from Lazada Philippines. Very functional and stylish at the same time. For me this item is Budget Fashion Seeker approved! Aside from protecting my eyes from the sun while spending long hours outdoors, a pair of sunglasses makes one's outfit look more chic and fashionable. I tend to choose neutral colors when buying this accessory and among the ones I've seen so far, this Beige pair from Maldives caught my eyes. To be honest, I'm a person who can survive just drinking tea the entire day and I know it is unhealthy. What more when I am strolling outside, busy with all the sightseeing! So one of my goals this year is to be mindful of my water intake, may it be indoors or outdoors and a handy water bottle will help me solve it! I have one water bottle at home but it is bulky to carry so I don't usually bring it with me and just resort to buying mineral water bottle during my trip and use it as my bottle for the day or two. Really not economical (or not good health-wise too) especially to countries where mineral water is pricey right? 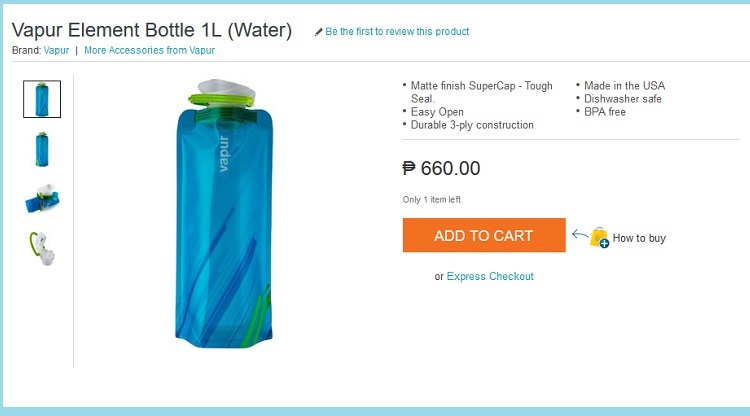 Then I've read about these foldable water bottles online (I know I might be late with this news) and look and behold! 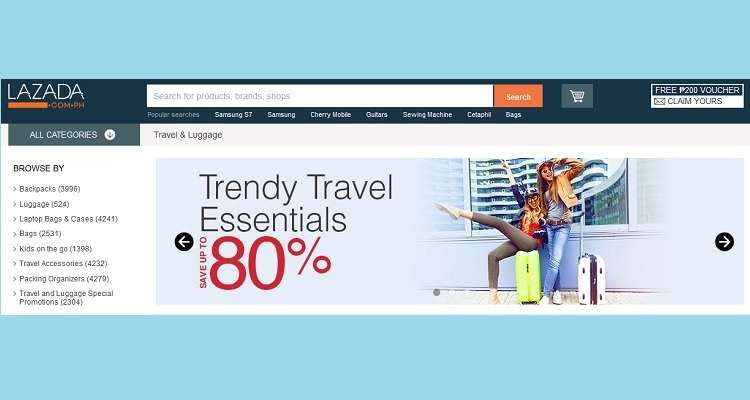 Lazada Philippines also have a wide range of this product. This Vapur water bottle for me stood out among the rest though. And this particular item has great reviews too when you try searching for it! If you have been following my blog for the past years, you would have noticed how I love wearing flip flops. They are very comfortable to use for long walks or if you need to be in the water. I am really happy that they keep on improving in terms of designs and colors. Even those brands that I know in early 90s. My mom doesn't like the idea that I buy new pair each time I go to the beach, but how can you resist them when they are in your favorite colors and just cost around Php100.00/pair? Maybe just one pair this year like a powder blue one from Toeberries! So those were the five travel essentials that I have for my upcoming trips. 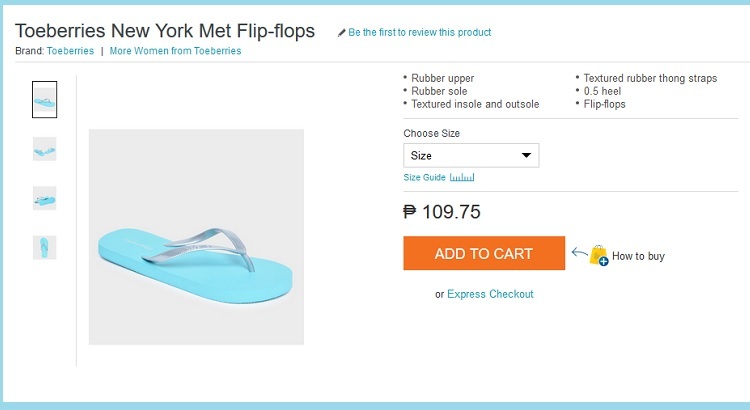 And even if I'm too lazy to go to the mall, I'm glad to know that Lazada Philippines offers them. With just one click, I can have all these items delivered at home. I can even pay cash when they delivered the items! Happy budget shopping to all of us! 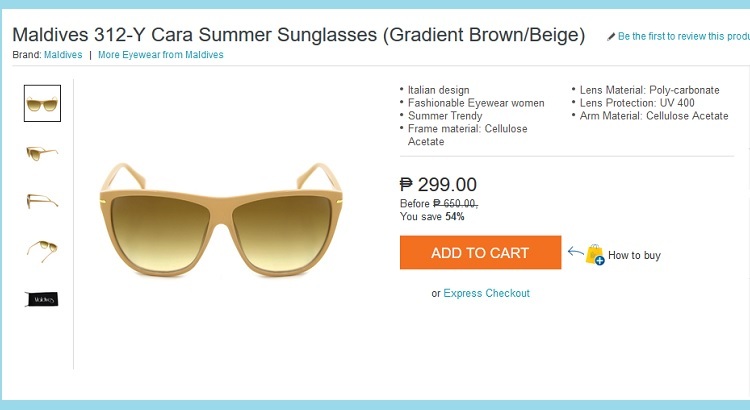 **This post is an entry for the ShopCoupons X Lazada PH Blogger contest. 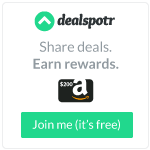 Being hosted by ShopCoupons. Lazada voucher sponsored by Lazada Philippines.